Description: The glass factory was built in the early 1920s on ground only a few hundred yards from Bryn Athyn Cathedral. It was in continuous operation from July of 1922 to April of 1942. 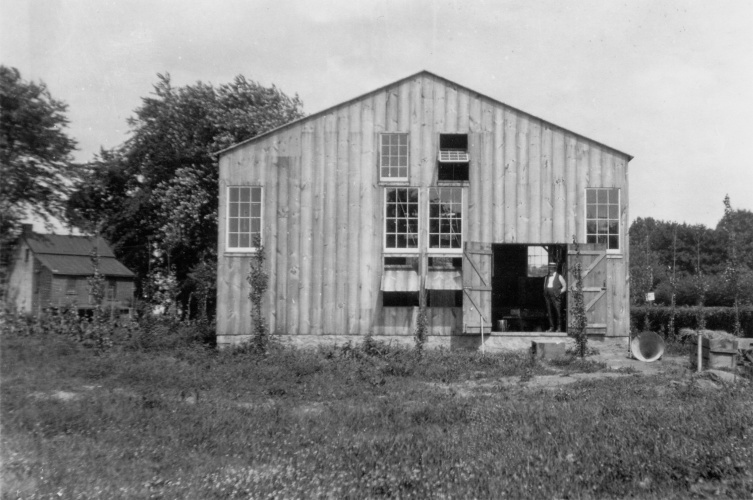 The building was torn down in 1952. David Smith (1864-1946), the principal glassblower, is standing in the doorway.